A single shot into the muscle is enough to stop egg and sperm production in mice, report California Institute of Technology scientists on October 5 in Current Biology. The injection delivers packaged DNA into muscle cells, causing them to produce neutralizing antibodies against male and female reproductive hormones. All mice that received the shot were unable to sire offspring after about two months, with no side effects. The researchers see this proof-of-concept study as the first step for developing a cheap alternative to spaying or neutering feral animals. "The field of immunocontraception has been around for many, many decades but has always run up against the variability in the immune response," says senior study author Bruce Hay of Caltech. "In recent years, a number of labs have shown that you can express high levels of antibodies in small and larger animals to prevent disease. We thought: why not try it to manipulate physiology as well?" Hay wanted to experiment with an antibody that could neutralize gonadotropin-releasing hormone (GnRH) in mice. GnRH is made in the brain and acts on the pituitary gland to promote the secretion of reproductive hormones that stimulate egg and sperm development—so it is an ideal target to render an animal infertile. 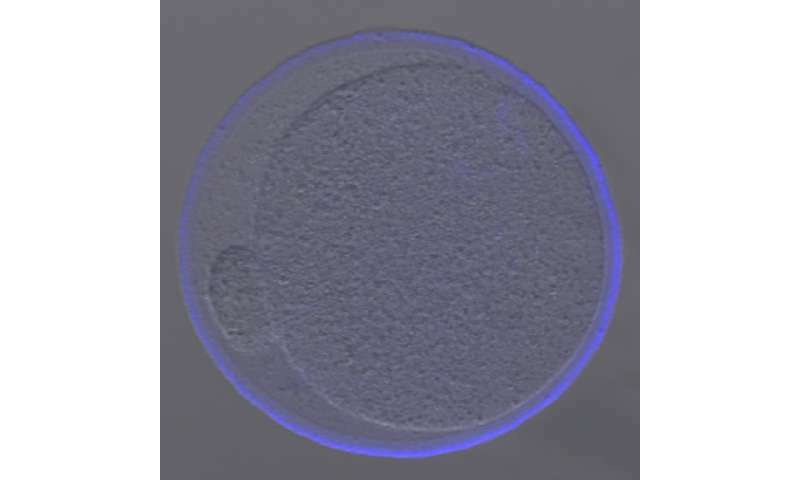 In addition to using an anti-GnRH antibody, Hay's lab also blocked fertility in female mice using an antibody that binds a protein layer called the zona pellucida, which surrounds egg cells. This antibody blocks sperm binding without affecting female hormonal cycling. "Spaying and neutering wild animals is not a trivial process—it takes money and time to anesthetize them, do the surgery, and let them recover," Hay says. "This is a much more benign way of managing populations." Could the shot work for humans? Not right now, and not in the same way. Anti-sperm antibodies are present in some infertile humans, but up until the recent development of gene-therapy-based approaches, there's been no easy way of directly delivering the antibody in humans without regular injections. "Therefore, it's now possible to give someone the antibody, in the form of a gene, and ask if it has contraceptive effects," Hay says. "It's a long road to develop any new drug, but it might someday provide an alternative to current, surgical methods of permanent contraception." Another hurdle is the lag time between injection and when an animal (or person) becomes fully infertile. Hay predicts that other forms of gene delivery could yield a much more rapid onset, and it's an active area of investigation. In the meantime, his group is carrying out a pilot study on female cats in collaboration with Bill Swanson, Director of Animal Research at the Cincinnati Zoo's Center for Conservation and Research of Endangered Wildlife, with the goal of managing local populations.